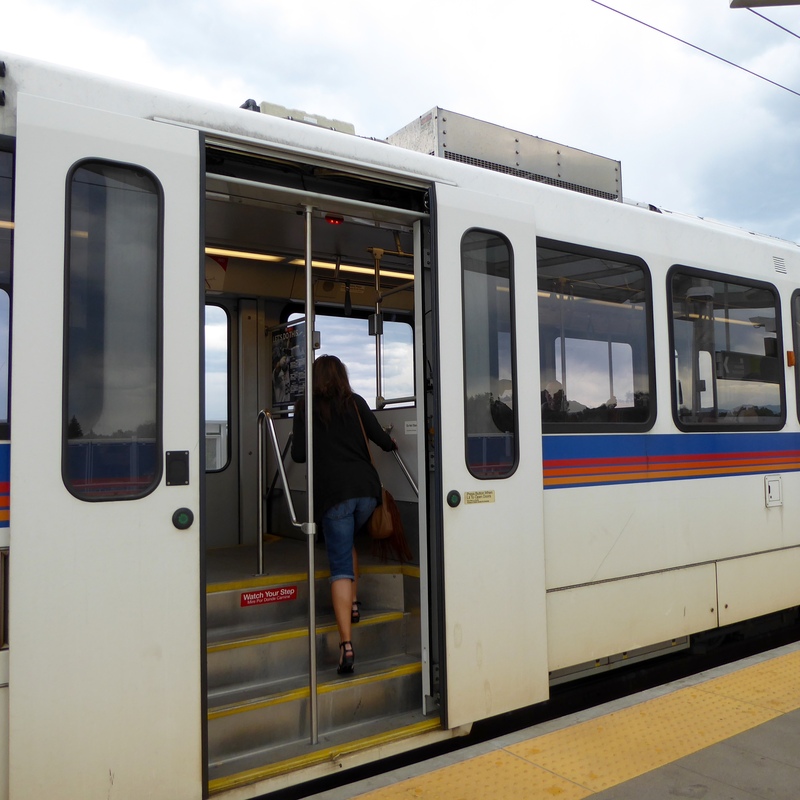 Denver has a lite rail train. Denver also remodeled the old train station. The historic building has been preserved and remodeled. Zeb and Soapy Smith Duck and their moms drove about 50 blocks to reach the nearest light rail station. In the fall of 2016, the station about 10 blocks from our house will open. 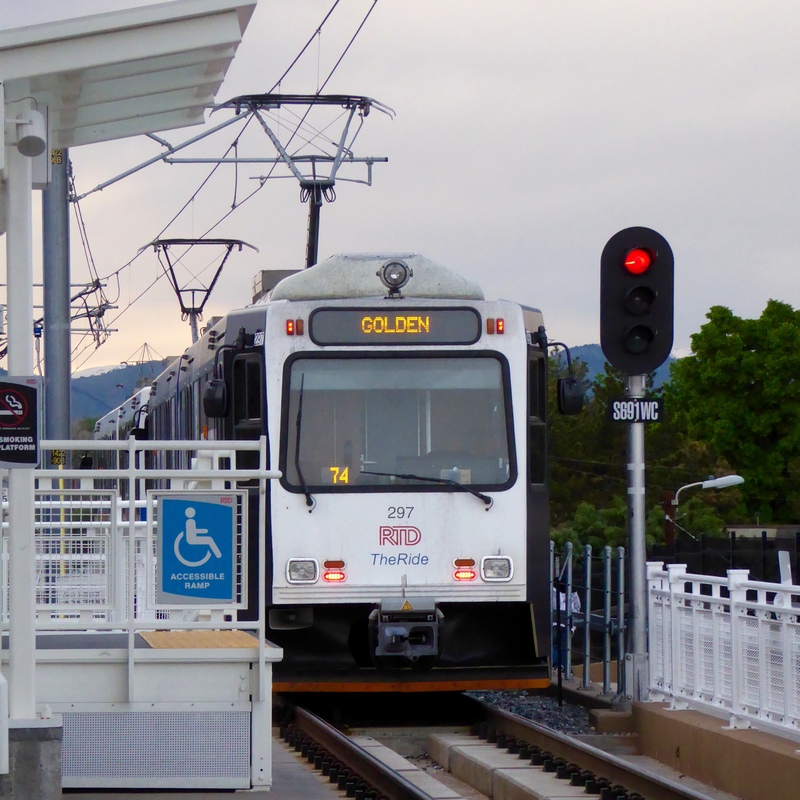 The lite rail train arrives at the station. We are anxious to get aboard. 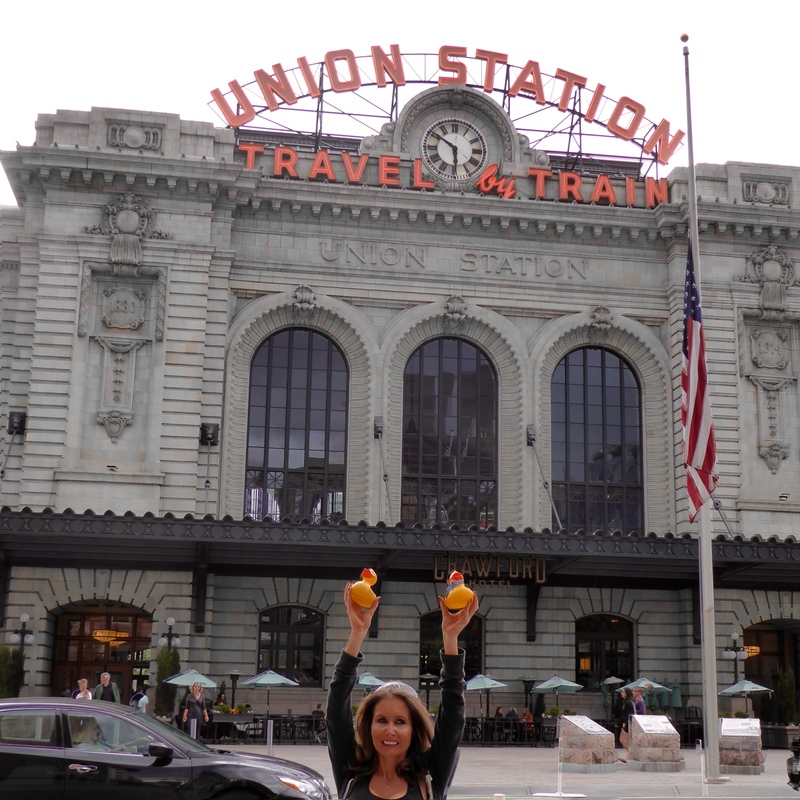 We ride to Union Station, Denver’s train station. 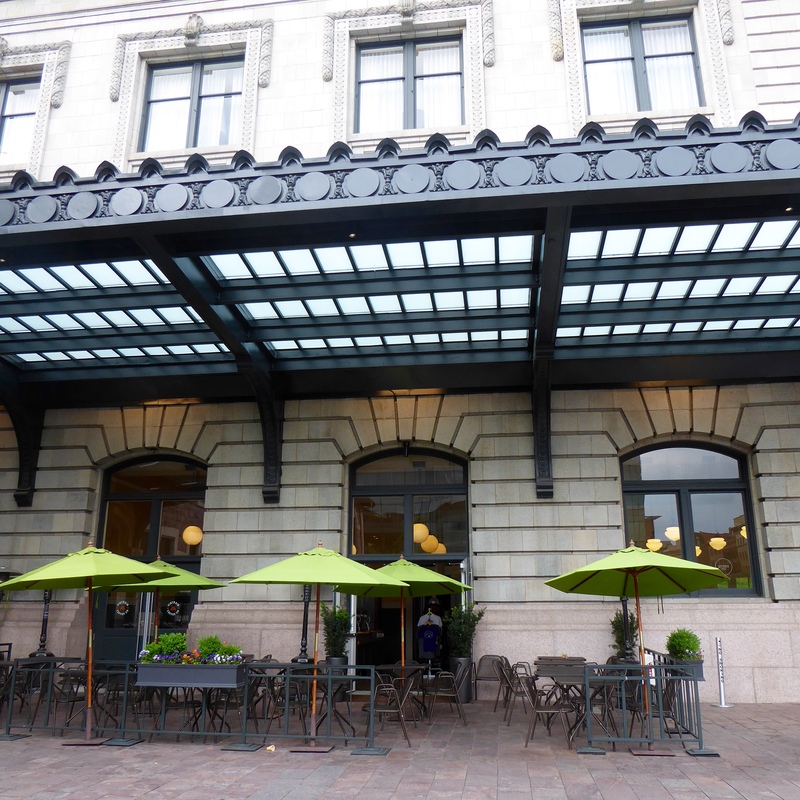 As you can see, the Crawford Hotel is in Union Station. This is very convenient for travelers. Inside Union Station we saw restaurants, shops and places for travelers to wait or rest. Just to be sure, Union Station is still a train station. The California Zephyr will take you to Chicago or to California. This an Amtrak train station. Maybe some day moms? All the trains and thoughts of travel make us hungry. We decided to eat at The Kitchen Next Door. First we had Happy Hour Appetizers. 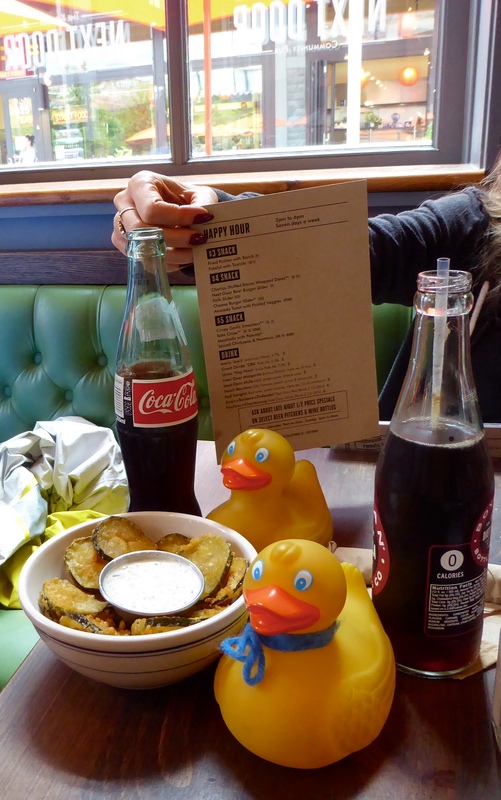 This was the first time for Colorado Traveling Ducks to eat fried pickles with seasoned ranch dressing. The fried pickles were delicious. And we had Coca Cola from Mexico. Yes, it really does taste different, and the humans love it. For lunch we had grilled chicken with pineapple and Swiss cheese. We also had Carolina pulled pork with mustard BBQ sauce. Everything was so good. Zeb and Soapy sat at the bar. The humans working here talked to us for awhile. 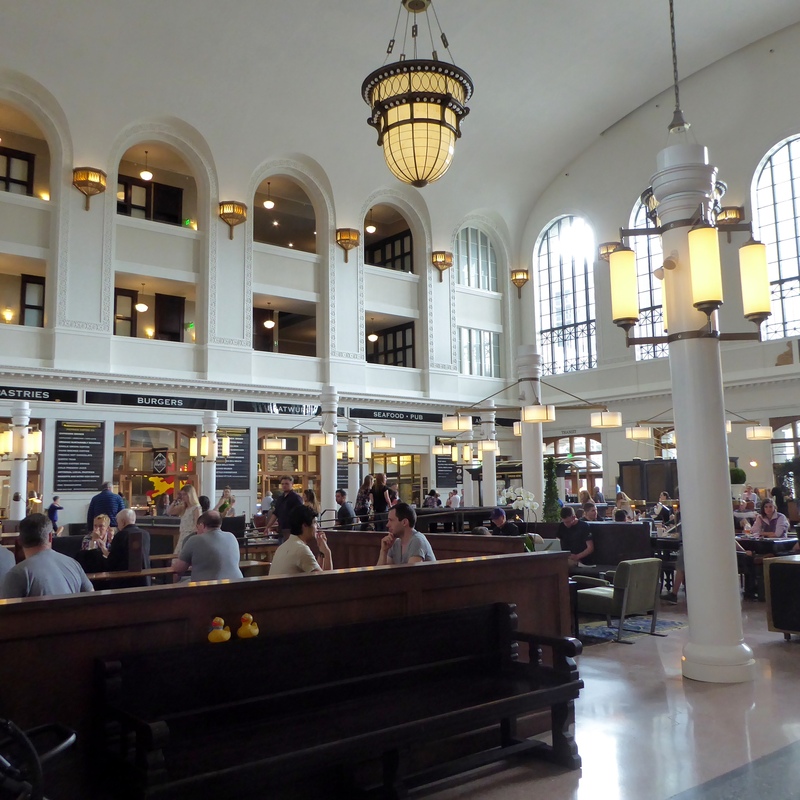 We walked around Denver and decided to return to Union Station for dessert. This is the Milkbox Ice Creamery. It was nice outside, so we brought our dessert out here to eat. This ice cream is really good. 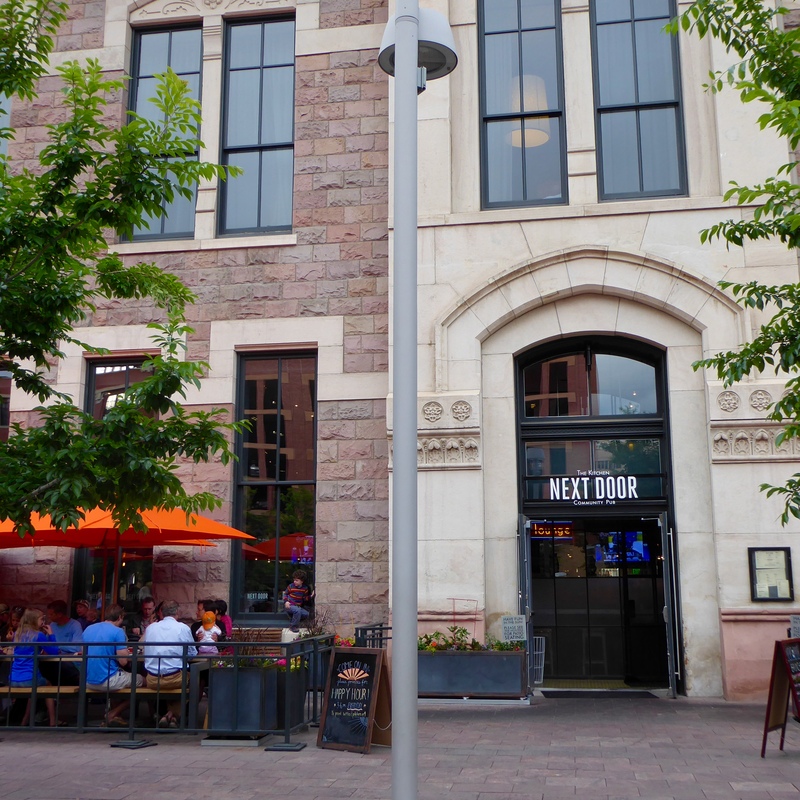 We will show you more of downtown Denver during the summer. Denver has a lot of stuff and we like to spend time, and money, here. 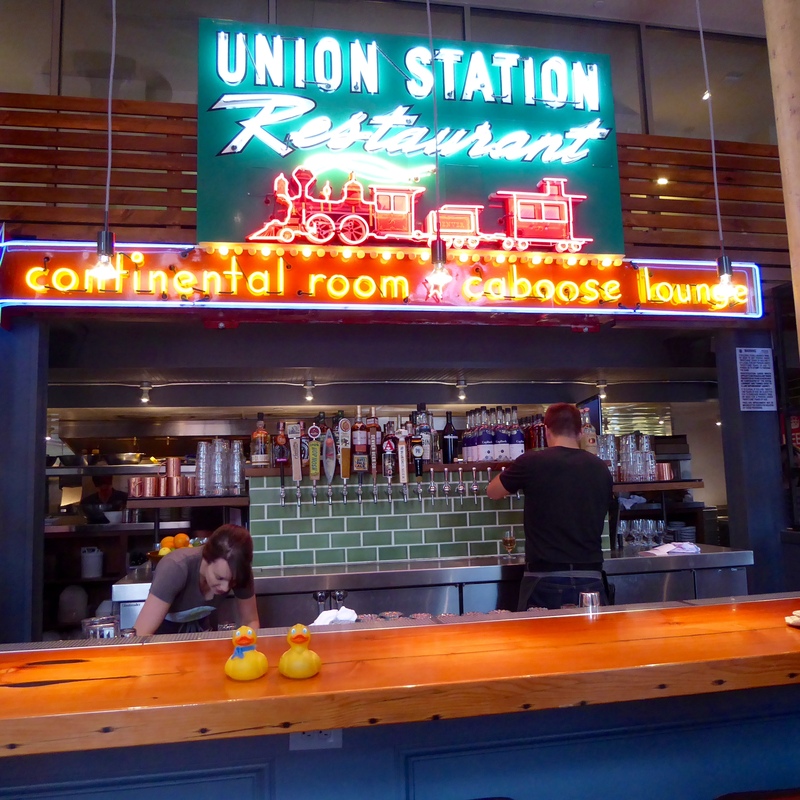 This entry was posted in Colorado, Uncategorized and tagged Amtrak, California Zephyr, Colorado Traveling Ducks, Denver, Denver Lite Rail, Milkbox Ice Creamery, Next Door, Union Station. Bookmark the permalink. 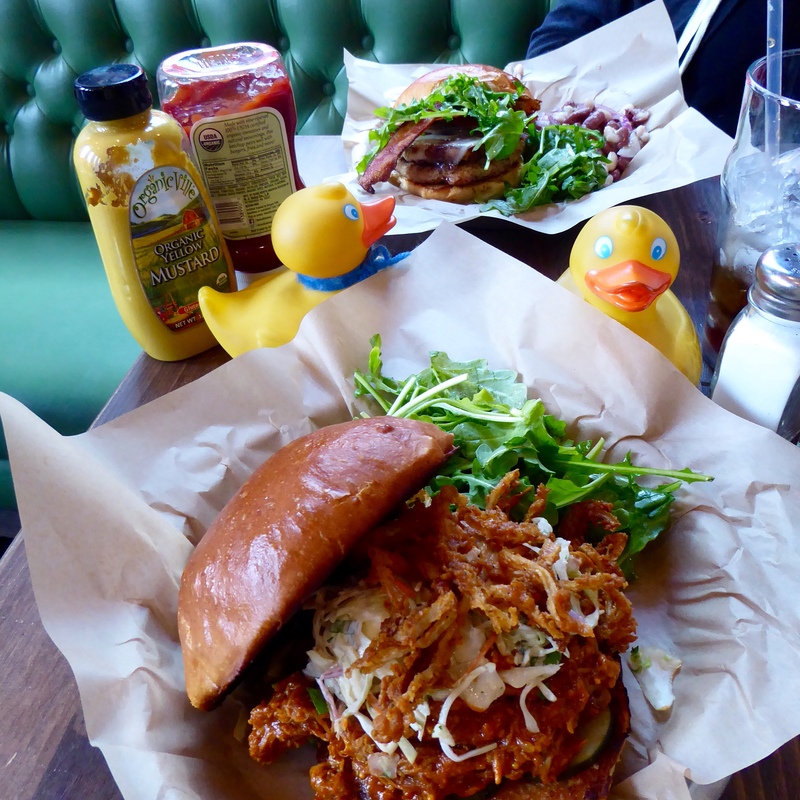 If you’re going to spend money, it may as well be on burgers and ice cream! We love train travel. It’s so convenient. 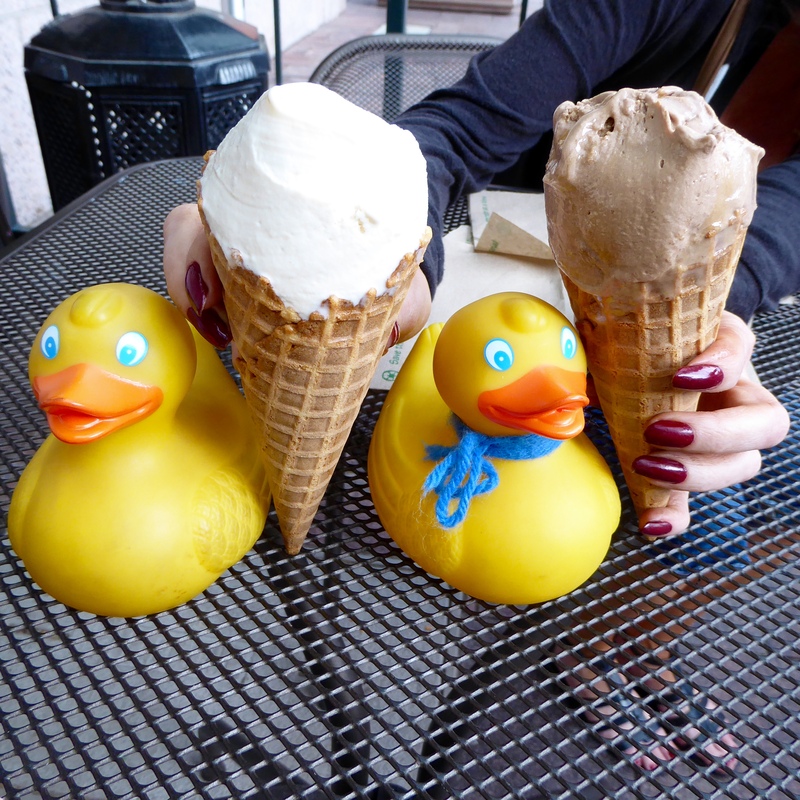 We love the remodeled train stations–and burgers and ice cream. Have not taken a train trip in the states for many years. Our AmTrak is probably OK, but I really don’t know. Maybe need to check into it. Enjoyed Australian Indian-Pacific and Ghan last summer. Thanks for reading and commenting. The food looks delish and I love train too! It was a fun day. Thanks for reading and commenting.